Basic – When your budget demands that code compliance and lowest price are the best options, basic decking is the solution. This system can be installed as fully closed or semi-closed. The semi-closed option does not allow for effective water control, but does help eliminate trash that falls to the ground underneath your bleacher. Interlocking – With interlocking decking, stadiums can be configured with maximum flexibility. The interlocking planks can be designed to accommodate any specifications, including angled seating, risers with varying tread depths and riser heights, custom stair structures, and large walkways or platforms. Premium Welded Decking – A factory-controlled robotic process produces consistent welding that connects individual aluminum extrusions into a one-piece tread panel. Because of its premium design and quality, this decking ensures maximum water control, strength and durability while keeping maintenance costs to a minimum. The premium designed decking system is the only one that addresses rainwater runoff and collection. Constructed with a double lock design, this premium system provides easy maintenance. Known for its quality and versatile construction, this system is used in the NFL, MLB, MLS and D1 College Football stadiums across the country. 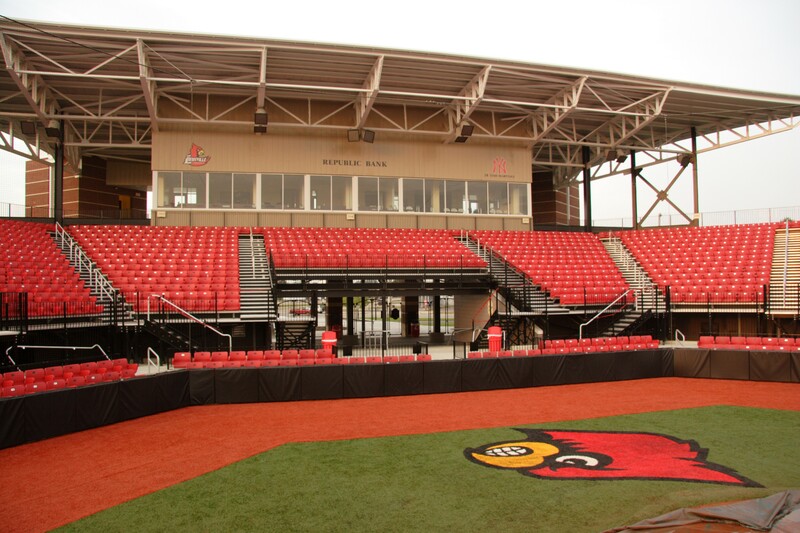 For more information on how Toadvine Enterprises can help you plan your bleacher system, click here to request a quote or to learn more about Decking and Riser Systems. We have a few overstock items for sale that we wanted to pass along. Please call our office at 502.241.6010 or contact us through our website for more information.